The Fulham boss wants him to find a ruthless edge. Claudio Ranieri has told Ryan Sessegnon to develop a mean streak to propel Fulham’s Premier League survival fight. England Under-21 star Sessegnon has been a fixture in Fulham’s return to the top-flight, even at the tender age of 18. Italian boss Ranieri is a big fan of Sessegnon’s talents, but has called on the Roehampton-born winger to adopt a ruthless edge on the field. “He has to improve a little bit – just a little bit – I want him more aggressive in his head,” said Ranieri. “Sometimes in the duel he is a little shy. “I do not want to say a nasty word in Italian but I want him to be more nasty sometimes. “In the battle you have to be, bang, come on! Sessegnon’s prodigious talent already places him among the most coveted young English talents. With two Premier League goals to his name he has acclimatised well to life in the top-flight. But Fulham boast just three wins in 21 games, and now face a pivotal relegation scrap at struggling Burnley on Saturday. And Ranieri wants Sessegnon to step up and play with the kind of authority to match his talent but belie his years as the Cottagers look to climb out of trouble. The former Leicester boss made more than 300 appearances in a 13-year club career in Italian football, between 1973 and 1986, and is confident he can coax a harder edge out of Sessegnon. “I will give it to him; I was so nasty when I played a long time ago, believe me,” said Ranieri. “I can give him my experience. 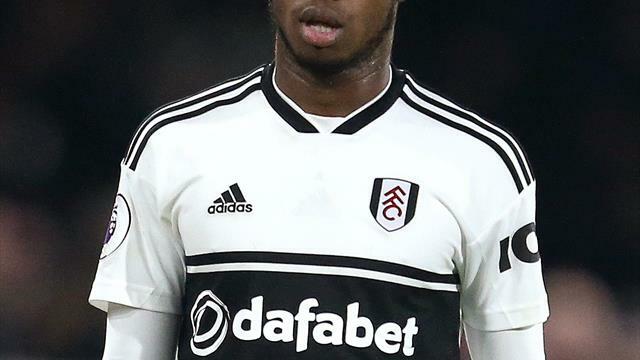 Fulham are already talking to Sessegnon about extending his current contract that has less than 18 months to run, with Ranieri positive about discussions so far. “I know they are speaking and I think sooner or later his agent will find a solution,” said Ranieri. “I want him and I believe in him.